The new chip, code-named Kal-El, features a quad-core ARM Cortex A9 CPU and a 12-core GeForce graphics processor, as well as a fifth "companion" processor for improved power management, as reported by Wired. Nvidia is touting the chip as "the world's first mobile quad core." The CPU reaches speeds of 1.4GHz in single-core mode and 1.3GHz in quad-core. The companion core runs at 500 megahertz, ready to take over for simple tasks such as light web browsing and music playback. The company claims that, when matched up against Apple's custom A5 chip, the Tegra 3 is two times faster at video transcoding and photo stitching. New Tegra chips will arrive at the pace of one per year through 2014. 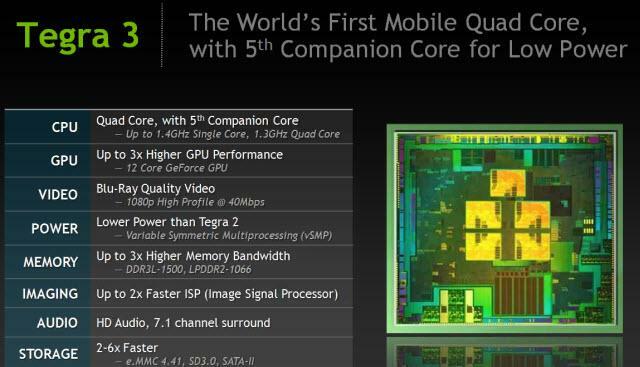 The fourth-generation Tegra, code-named Wayne, will be ten times faster than the Tegra 2, VentureBeat reports. Asus has revealed that its Transformer Prime tablet will be the first to feature the Tegra 3. As an upgraded version of the original Eee Pad Transformer tablet, the device will sport an 8-megapixel rear camera, 1.2-megapixel front-facing camera, 1GB of RAM and a 10-inch, 1280 x 800 screen. As for battery life, Asus promises 12 hours of HD video playback on the tablet. 32GB and 64GB versions of the tablets will cost $499 and $599, respectively, when they arrive next month. The device will launch first with Android Honeycomb 3.2, with an over-the-air update to Android 4.0 Ice Cream Sandwich to arrive shortly after launch. 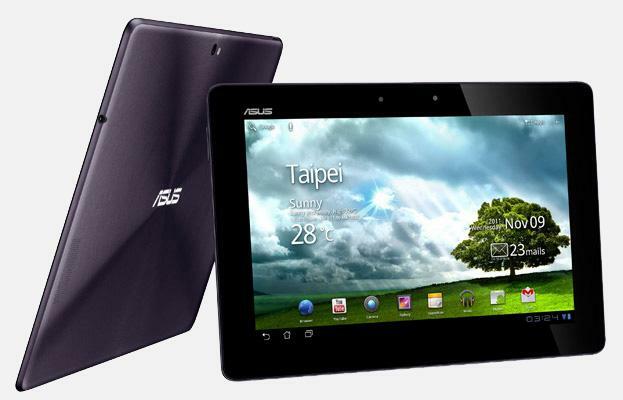 Asus' Eee Pad Transformer Prime tablet is the first to feature the Tegra 3. Leaked reports suggest that HTC will be the first to put the Tegra 3 to use in a smartphone. The so-called HTC Edge is expected to be the first quad-core phone when it arrives in early 2012. 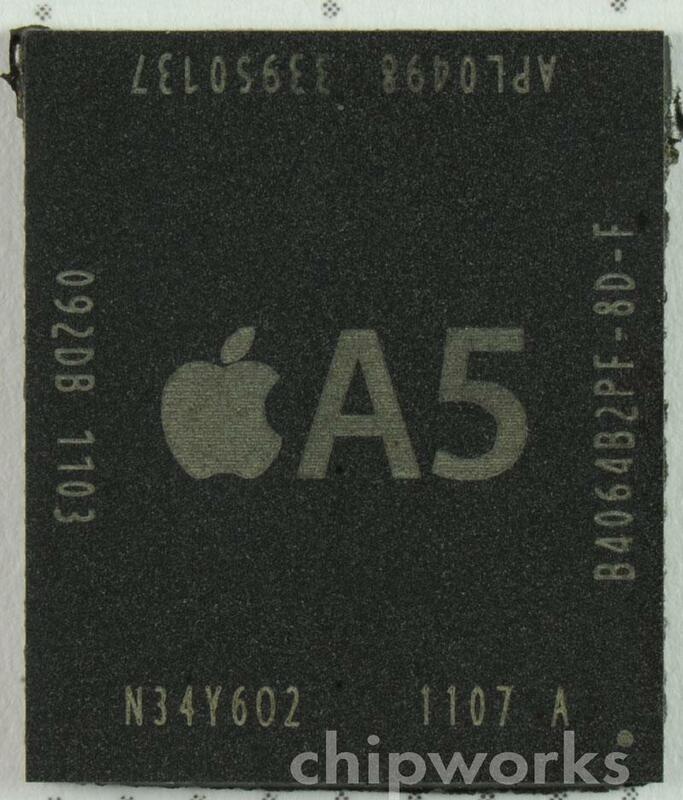 For its part, Apple is said to be readying its own quad-core A6 CPU for release early next year. Varying reports have pegged either Samsung or Taiwan Semiconductor Manufacturing Company as the supplier. The A6 will reportedly be based on 28-nanometer processing technology. Earlier this year, quad-core ARM CPU support was discovered hidden inside Apple's Xcode developer tool. Apple's current chip, the dual-core A5, which is also based off of ARM's Cortex 9 processor, offers graphics processing up to nine times faster than the A4.